With the best camping multi tool, as the name implies, you will be able to do multiple things. It is a handy survival gear, not only for campers. It will make an excellent everyday carry item in your bag or pocket, especially because most of them are compact and portable. While a camping multi tool can be beneficial in more ways than one, this only holds true if you pick the right product. If you are having a hard time trying to figure out the differences between the possibilities, keep on reading the rest of this post. We’ll even identify five of the best brands and models you might want to consider. ​Knife: If there is one tool that is almost always present, it would be the knife. The blade is either serrated or straight-edged. Because of the small size of the knife, however, take note that its use should be limited to small tasks. ​Pliers: If there is one thing that differentiates a multi-tool from a Swiss Army Knife, it would be the presence of pliers. It can be used for repositioning wires, among others. ​Screw Driver: There are different types of screws, and hence, several screwdrivers may be needed. Scissors: This is a good tool, especially when it comes to first aid. You can use it from cutting papers to gauzes, among others. ​Bottle Opener: In case you have not yet mastered the art of opening a bottle of beer, a multi-tool can be a great investment. ​Crimper: This tool will be useful when there is a need to crimp two pieces of metal. This will also work for any other malleable material. Corkscrew: If wine is your choice of drink, a camping multi-tool will give you easy access to a reliable corkscrew. 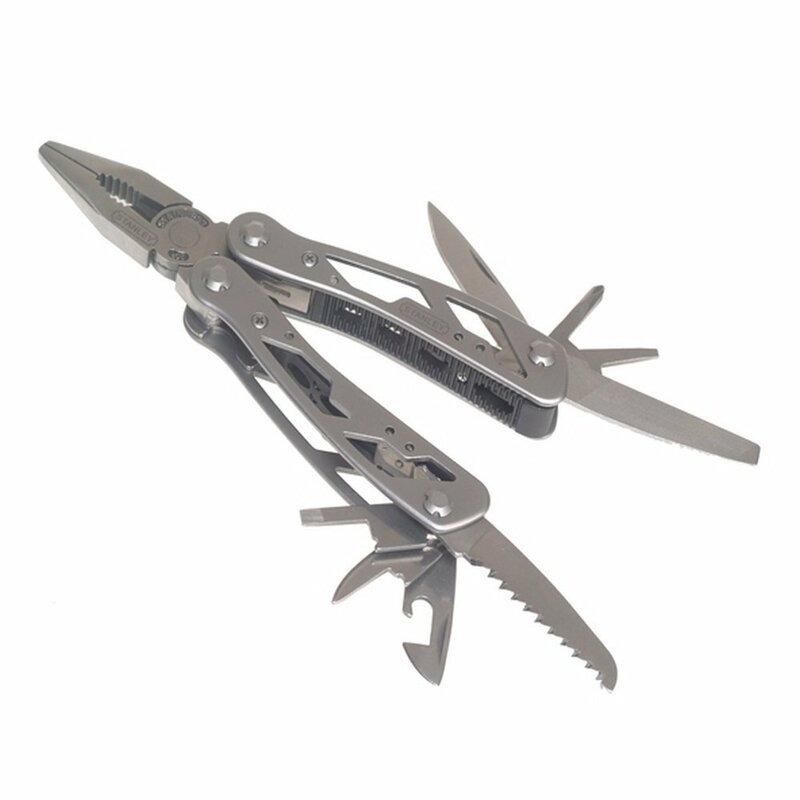 Folding Multi tool: This is perhaps the most common from all the types of multi tools. This full-sized tool has a collapsible design, making it easy to bring wherever you are heading. From all the types, this is usually the one with most tools. Pocket Multi tool: It is essentially the same as the folding multi tool, with the biggest difference being the fact that it is more compact. With this, you can put it in your pocket without worrying about its bulge and weight. ​Keychain Multi tool: This is a popular choice for people who are looking for portability. They are compact and can be easily hooked on your bag. They can also be either pocket or folding multi tool. One-piece Multi tool: If you are looking for simplicity, this should be on the top of your list. The tools offered are lesser, but for basic needs, this will prove to be more than enough. Functionality: For sure, you would not want to buy a camping multi tool that will end up being useless in situations when you need them. Some might decide to go for simplicity, but more often than not, they will be limited in terms of what they can do. Warranty: It is best to choose a product that comes with an extensive warranty coverage. If the manufacturer is confident about the quality of what they are offering, they will provide an unrivalled warranty. Within the warranty period, if defects and problems are experienced, you can have it returned to the manufacturer and they will replace it for free. However, you have to abide with the terms and conditions specified. ​Portability: For a camping tool to be portable, it should be lightweight and compact. For sure, you would not want to bring a tool that is bulky and heavy. It should not be a significant addition to the gears you have. In most instances, a camping multi-tool will weigh less than 12 ounces. ​Design: This is an important consideration because it will be indicative of how user-friendly the camping multi-tool would be. It should be easy to handle and should promote your highest level of comfort. Regardless of the specific tool that it used, you must hold it without having to experience discomfort. ​Durability: Camping multi-tools can be easily prone to wear and tear, especially if you camp a lot. With this, pick one that is made from premium materials. Others may easily get loose and hence, some tools may be useless within just a short span of time. An ideal choice for the best camping multi tool is one that can resist corrosion and rust. Reviews: At the end of the day, if you are confused and overwhelmed with the products that you can see, you can rely on the opinions of other people. Many have shared online reviews, which will make it easier to weigh the pros and cons of the possibilities. Their experiences will surely be helpful in making a well-informed decision. If you still have no idea on what to choose, below are five products that can provide the best bang for the buck. 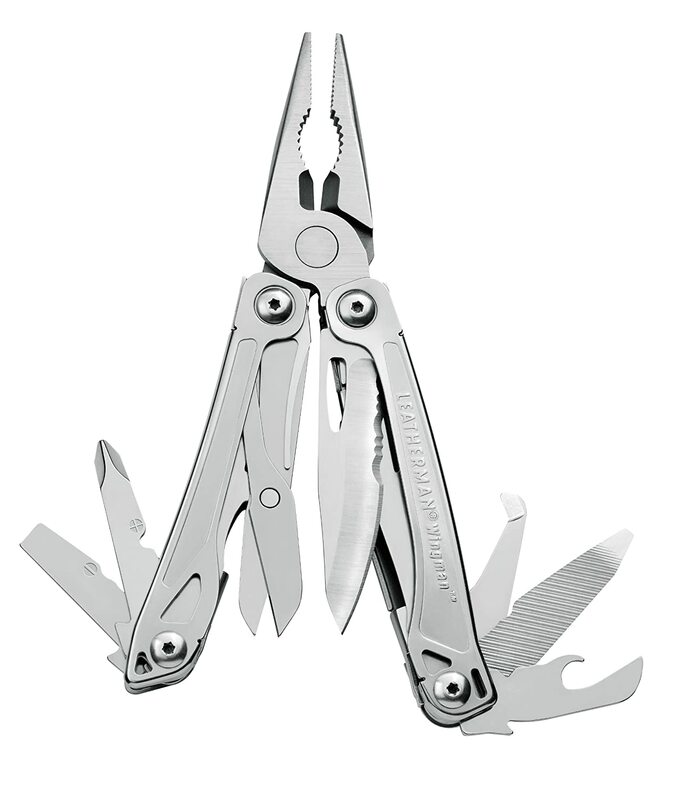 If you are searching for the best Leatherman for camping, this product should be on the top of the list. It is made by a company that has gained an unrivalled reputation in the global marketplace, which is more than enough to make you confident about its quality. 14 tools in one – this is one thing that can possibly convince you to have it chosen above its competitors. This is indicative of versatility as it can be used in different situations. The tools that are included are spring-action needleless pliers, spring-action regular pliers, small screwdriver, medium screwdriver, Philips screwdriver, spring action wire cutter, wood or metal file, wire stripper, spring-action scissors, bottle opener, can opener, package opener, ruler, and 420HC combo knife. Aside from multiple functionality, another thing that you might find to be impressive about this product is the excellent material of choice. It is made from 420HC stainless steel, which is heat-treated and known for its exceptional strength. Lastly, the manufacturer offers 25-year warranty, which is one of the best within the marketplace. Within such period, if you are unhappy in any way with the product, provided that you are not negligent, they will repair or replace the camping multi-tool. This is another option that is worth considering for the best camping multi tool. 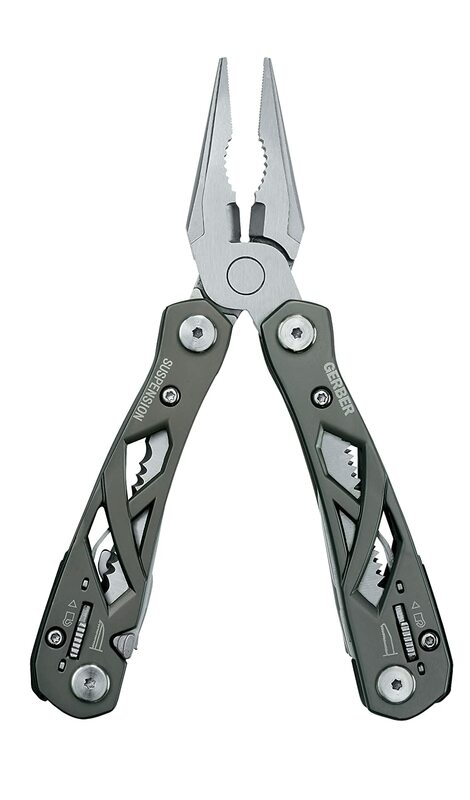 Like Leatherman, this is a brand that has gained worldwide reputation for the quality of their products, which can provide you with peace of mind. Having 12 tools in a single product is one thing that makes it better than many of its competitors. This simply means that you can use it in more ways than one. Open it and be surprised with the things that it can do while you are in the campsite. Another thing that you might find impressive about this product is its open-frame design, which makes it more innovative compared to most of its competitors. You can get down and dirty, without worrying about it durability. 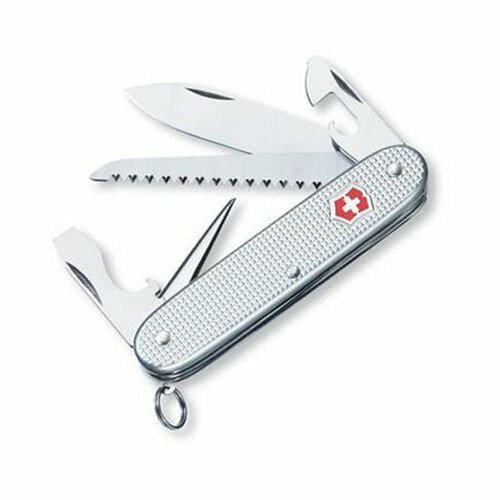 Victorinox is a company that is known for their Swiss knives, but the company has also established itself in the market for multitools. This model is simple, yet it can be effective for most campers, especially for those who only need basic functions. The fluted Alox handle, a signature in the products of Victorinox, is one of the design elements that you might love. This does not only make it look cool, but will also make the multi-tool easy to handle. Lastly, if you are still finding it hard to decide if you should go for this product or look for other alternatives, there is one thing that might convince you – it comes with a lifetime warranty. If you are unhappy, the manufacturer will replace or repair it for free. However, you have to pay attention to the terms and conditions specified to be eligible for the warranty. With 12 functions in one tool, this is another product that you might want to consider. This is a versatile addition to your camping gear as it can be used in more ways than one. It is inclusive of knife, long-nose pliers, bottle opener, screwdrivers, and wire cutters. If you want a product that can offer decent quality without hurting your wallet, this is one that you might want to look at. It has an affordable price, making it perfect for budget-conscious buyers who are unwilling to settle with inferior quality and functionality. You might also love how durable it is, despite being cheap in terms of price. The long-lasting functionality of this multi-tool can be attributed to the use of stainless steel as its main material, although such also made it heavier compared to most of its competitors. If price is not an issue for you, this is one product that you might love. It may be expensive, but the steep price can be justified by the fact that it is made by a reliable brand and that it has exceptional construction. Compared to most of the multi-tools in the market, many of which have 12 to 14 integrated components, this model only has 7 functions. You can use it as needle-nose pliers, regular pliers, hard-wire cutters, wire cutters, 420HC combo knife, carabiner / bottle opener, and large bit driver. The high-carbon stainless steel that is used in this multi-tool is one more thing that can captivate your attention. It has been tried and tested, providing you with the assurance that it is long-lasting. If you still have hesitations about its long-lasting functionality, you should know that the manufacturer is offering 25-year limited warranty. With the latter, they can issue a replacement or repair the unit for free if it proves to be defective within the warranty period. Indeed, the best camping multi tool can prove to be a reliable outdoor companion. From preparing your shelter to first aid, it can be used in more ways than one. To fully optimize its benefits, however, you have to choose the right product. 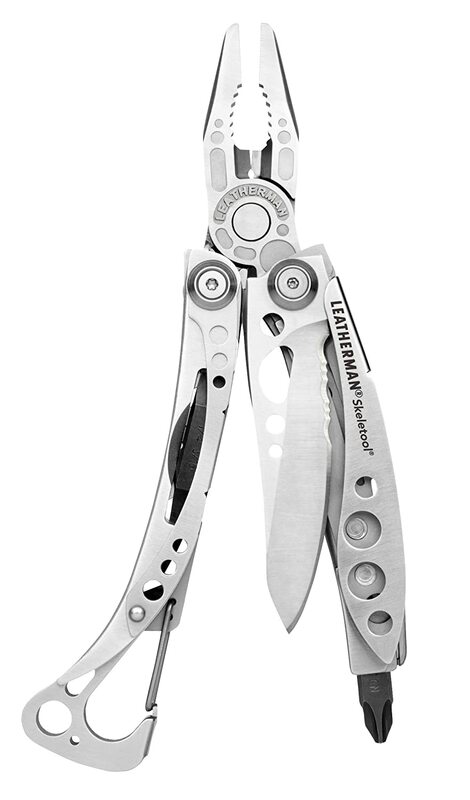 From the five products that have been mentioned above, if there is one that I can personally recommend, it would be Leatherman, Wingman Multi-Tool, Stainless Steel with Nylon Sheath. The mere fact that it is made by a globally-popular brand can already convince many of you to have it chosen. It is packed with multiple tools that can deliver different functions in a variety of situations. It is handy and dependable.